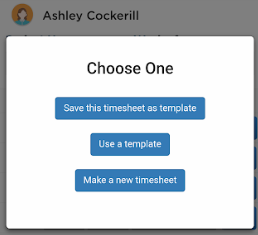 This feature optimizes your use of Start Time and End Time fields as you can simply tap on the time you frequently use on your timesheet. 2. 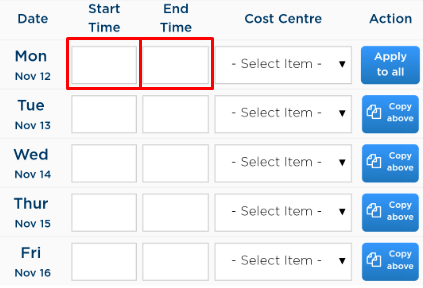 Upon loading of form, choose Make a new timesheet if you just simply want to submit a timesheet. 3. 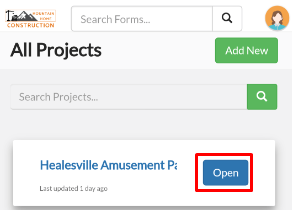 You will be directed to the timesheet form. 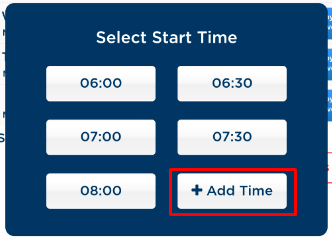 Click either Start Time or End Time if you want to add shortcuts to the respective field. 4. 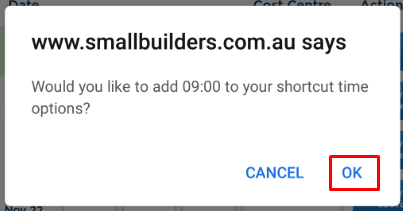 Click + Add Time. 5. 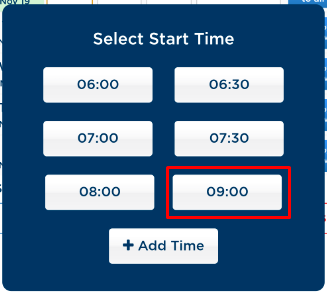 Enter the exact time then click Set. 6. 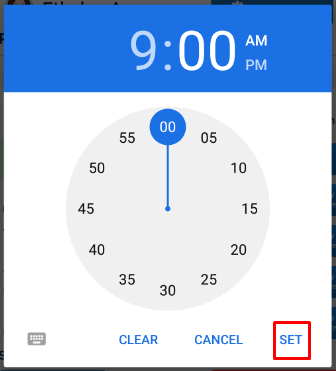 Once you have selected the time that is not being displayed, you will be asked if you want to add it as your shortcut. Click Yes. You can add up to a maximum of three(3) shortcuts. If you want to add another shortcut and all the three (3) slots are occupied, your oldest shortcut will be replaced with the new one. 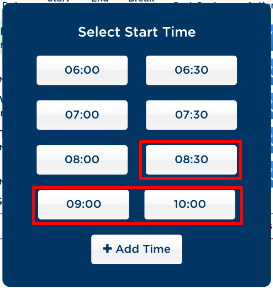 Your shortcuts for the Start Time is separated from your End Time shortcuts. The End Time will prompt immediately after you have selected a Start Time that is not on your shortcuts.